AIM Group International, a leading company specialised in congresses and events, acquired 51% of the shares of VanGoGh communication agency, specialised in creative digital and communication services. This will allow the Group to provide a unified conference, communication and digital offering supporting associations and corporate clients with branding, strategy and communication. Thanks to this acquisition, AIM Group takes over the management and operations of VanGoGh and establishes a new governance structure. 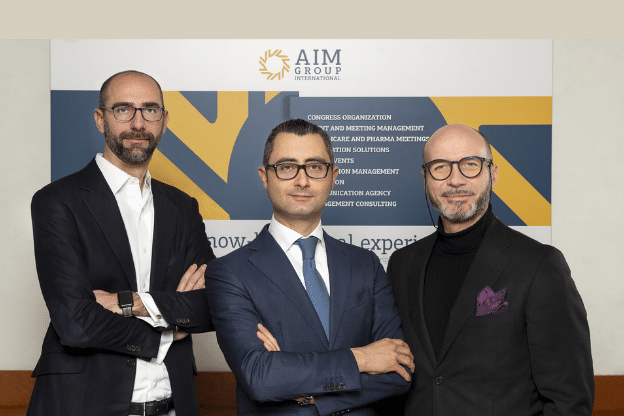 The new board of directors is composed of Massimo Galli, founder and CEO of VanGoGh, holding the position of President, Gianluca Scavo, CEO of AIM Group International, as Managing Director, and Nicola Sciumè as the new CEO. VanGoGh is a dynamic and creative agency which has established itself as a recognised player in the market and received more than 70 national and international awards. In particular, VanGoGh is specialised in brand reputation, digital and SEO strategy, digital advertising, web design, mobile sites and app development, video communication and social media management. AIM Group intends to capitalise on the outstanding expertise of the agency and deliver benefits, thanks to significant commercial and operational synergies, to the AIM teams and to the clients. Max Galli, designer, author, expert in digital communication, speaker and trainer, has founded and directed the VanGoGh agency since 2002. He defines himself as a “creative entrepreneur” that puts “ethics, moral values and positivity” first. In his latest book Digital Thinking, published by Guerini Next, he describes success stories, mistakes and experiences gained over twenty-five years in business. Nicola Sciumè is an entrepreneur and manager specialised in digital communication. Active since the beginning of the 2000s as a young founder of ICT and web applications companies, he has worked for over ten years in the Enter Y2K digital technology and communication company, where he previously held the role of general manager and finally as CEO. Then, he gained experience in Expo 2015 as head of the Digital Edutainment project, before starting new business projects in the technological field.